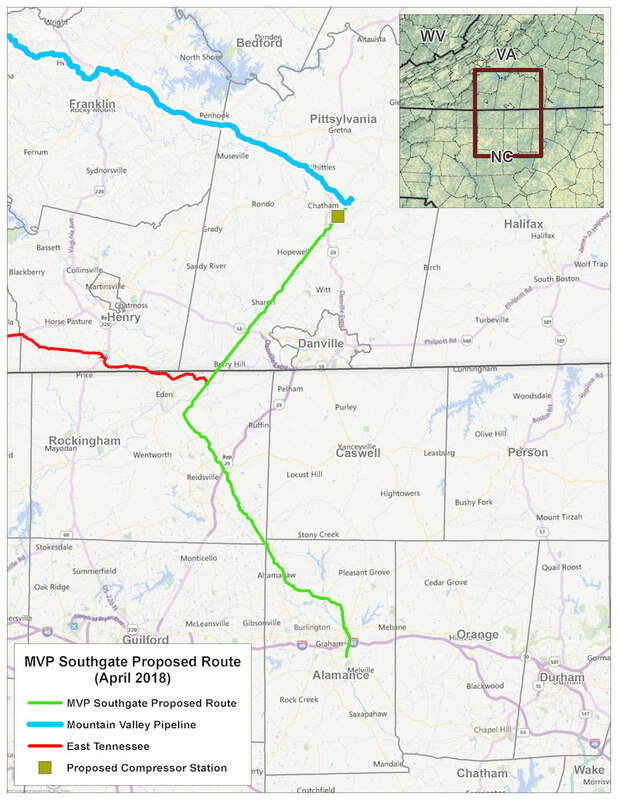 Although construction has stopped on the main trunk of the 303-mile Mountain Valley Pipeline, the Federal Energy Regulatory Commission is holding public hearings in North Carolina this week on the southern stem, known as MVP Southgate. If constructed, MVP Southgate would enter the state near Eden, in Rockingham County, and continue southeast for more than 40 miles into Alamance County before stopping in Graham. The project is owned by two large natural gas companies, NextEra Energy and EQT Corporation. The first public hearing, also known as a scoping meeting, is tonight from 5 to 8 p.m. at the Reidsville Events Center, 223 S. Scales St. The second hearing in North Carolina will be held Thursday in Haw River at the Vailtree Event Center, 1567 Bakatsias Lane, from 5 to 8 p.m. The NC Department of Environmental Quality has not issued any permits related to the project. To submit written comments on MVP Southgate, use the FERC eComments function on the agency’s website at https://ferc.gov/docs-filing/ecomment.asp. The website also offers the option of submitting comments electronically with supporting documentation using the eFiling feature at: https://ferc.gov/docs-filing/efiling.asp. In addition, written comments may be submitted to Secretary Kimberly Bose, FERC, 888 First Street NE, Room 1A, Washington, D.C. 20426. When submitting public comments, be sure to include docket number PF18-4-000 to ensure they are considered in the agency’s final decision. All comments must be received by 5 p.m. Sept. 10, 2018.